I've always been a dark-haired kinda chick. Brown, burgundy, deep purple, dark red, jet black... Been there, done that. After graduating in May I decided to treat myself to an ombré. I wanted something subtle since this would be a drastic change for me, but I knew how unflattering a light brown would be once the color faded out 2 months from then. I had my hair dresser do some brown and blonde foil highlights around my face and starting halfway to my ends. It was the perfect transition from dark to light, BUT, instead of turning brassy 3 months later, my ombré turned barely-there. Like every ombré newbie, I wanted more, and I wanted lighter! Completely ignoring the fact that fall was approaching, I went back to my lady and got some more foils (I waited 3 months ladies! It is so horrible to bleach your hair more than once in a 2 month span). This time, my ombré came out lighter- just what I wanted. The only downside was that my ombré became much more solid as well, looking less like highlights. I knew I would end up making another appointment in a month to go back to the dark side due to brassiness and winter. P.S. : interested in more ombré talk? check out this awesome article found on TheWigMall, Your Complete Ombre Hair Guide: 53 Facts & Ideas for 2018. The same blonde bombshell of a friend who taught me the ropes of coconut oil hair treatments recommended I use purple shampoo, and start using it NOW for consistency before the brassiness begins. 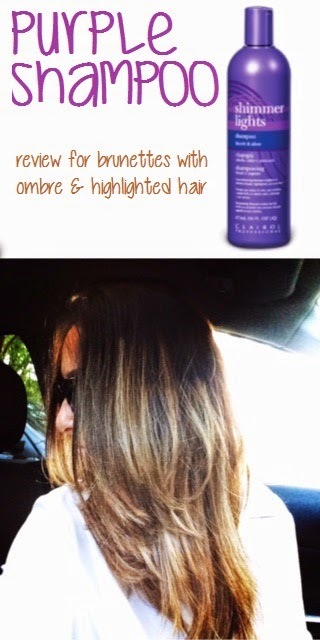 Purple shampoo looks almost like a deep purple paint that provides pigment to any orangey, dull yellow-looking tones. 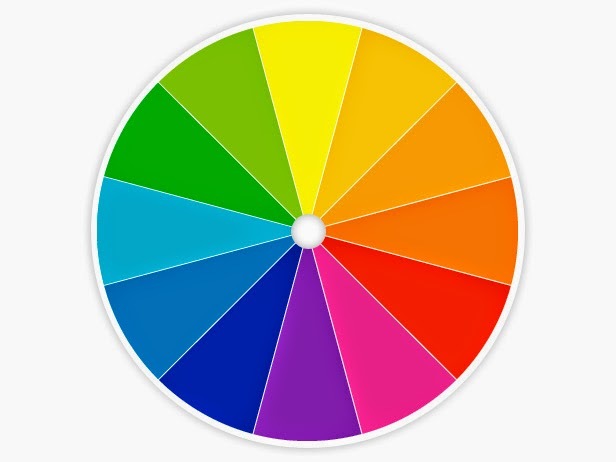 Think about the color wheel. Yellow is opposite of purple, so the pigment that your hair absorbs will neutralize any brassy color into the same bright dye job that you originally left the salon with. I'm not going to lie, I was a little nervous after looking up reviews. Aside from the positives, I read about people's bathrooms getting destroyed and heads accidentally turning purple. For my own sake, the last thing I wanted was my brown hair to lighten instead of only the blonde. Luckily, that was not the case. I couldn't find any dark-haired girls with ombré reviews, so I decided to write my own. I purchased Clairol Shimmer Lights and went straight to business. I achieved brighter, silvery-looking highlights after 4 washes (side note: I only shampoo 2-3 times a week). Although I love what it does, there are 2 cons to this shampoo: 1) the strong odor 2) feeling of dryness to my hair. I deal with this by shampooing my roots with my normal shampoo first, rinsing, and then leaving the purple shampoo on my color treated areas for 3-5 minutes. To avoid drying out my hair, I only shampoo with Shimmer Lights once a week followed by a thick conditioner, and then a coconut oil hair mask overnight before my next wash. Outcome: No, my light hairs did not turn purple, yes, this stuff really works, and YES this is harmless to your brown hairs. I will say that coconut oil treatments go hand-in-hand with purple shampoo washes. If you haven't seen how simple my tutorial is, go check it out here! You can find Clairol Shimmer Lights on Amazon or Sally Beauty Supply, but I grabbed mine from Harmon Discount (a huge reason as to why Harmon has the best selection: read about it here if you haven't already) for only $6. This stuff not only saved my life, but a couple salon visits as well. It's almost Christmas and I'm still rocking my bright summertime hair! 6 comments on "Purple Shampoo for Ombré Hair"
I've dyed my hair ombre about a month in a half. Should I use the purple shampoo.? THANK YOU I JUST DYED MY TO A BAYLAGE AND I WANT IT LIGHTER. I WAS THINKING OF TRYING THIS.